The Aragon subdivision is one of those neighborhoods that everyone knows about, everyone dreams of living in, and a few accomplish the dream. 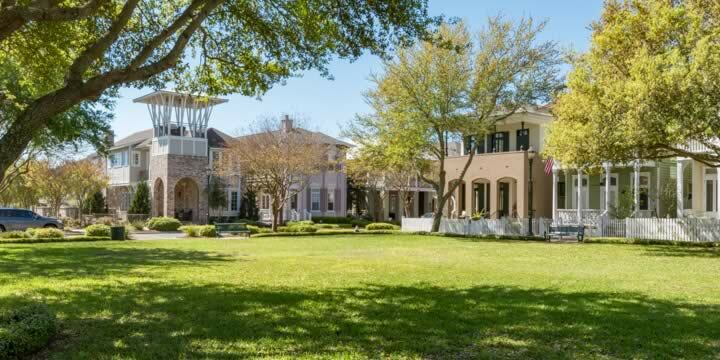 This gorgeous downtown Pensacola community offers a myriad of custom-built luxury homes, from Charleston-style and brightly colored coastal cottages of several stories to amazing brick estates that will entice the most discerning home buyer. Many are designed by well-known architects. Some homes will have guest quarters or mother-in-law suites as well. Aragon is located off Chase Street, on the tip of Pensacola's Historic section, and one block from Bayfront Parkway. It is also close to the Pensacola Bay Bridge, offering quick access to Pensacola Beach for those who love the ocean. 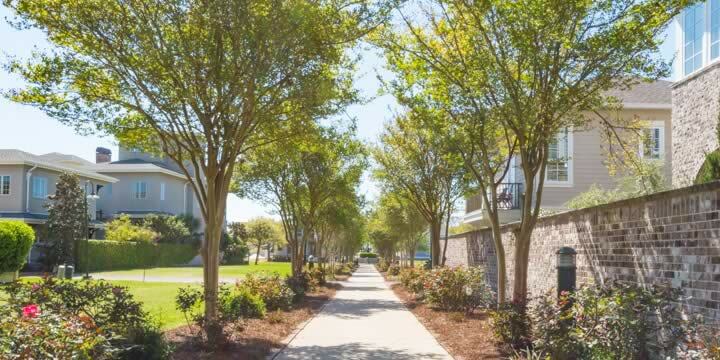 The neighborhood offers three parks, a community gazebo and garden, and is walking distance to shops, restaurants, and all the downtown Pensacola lifestyle. Developed in early 2000, you will find homes in that age range as well as the occasional new construction in Aragon. Picture sitting on your comfortable front porch, sipping sweet tea or a mint julip, and watching the neighbors walk their dogs or riding bikes to the park. The homes offer amazing upgrades, often with three stories, winding staircases, wood fireplaces, luxurious hardwood floors, large windows with plantation shutters, and sometimes a picket fence to accent the blooming flowers and shrubs that line the streets. Many lots are for sale here as well - build your own dream home. Prices here start at $400,000, while others can sell for in excess of a million dollars, depending on the size of home and lot. Children attend the prized Pensacola schools, and entertainment abounds in Aragon - arguably one of the best locations in all of the city. If you are looking for that luxury home in the downtown Pensacola area, Aragon should be one of the first places to begin your search. Call Emerald Coast Realty for a tour of the community, to see the homes available in Aragon, or see anything Pensacola has to offer.